Known for their large murals and installations that draw upon their personal inspirations, Kami and Sasu collaborate to build stunning iconographies. Drawing from traditional Japanese Calligraphy and sprawling patterns, they create new sensual forms in bold colors that represent their signature style. 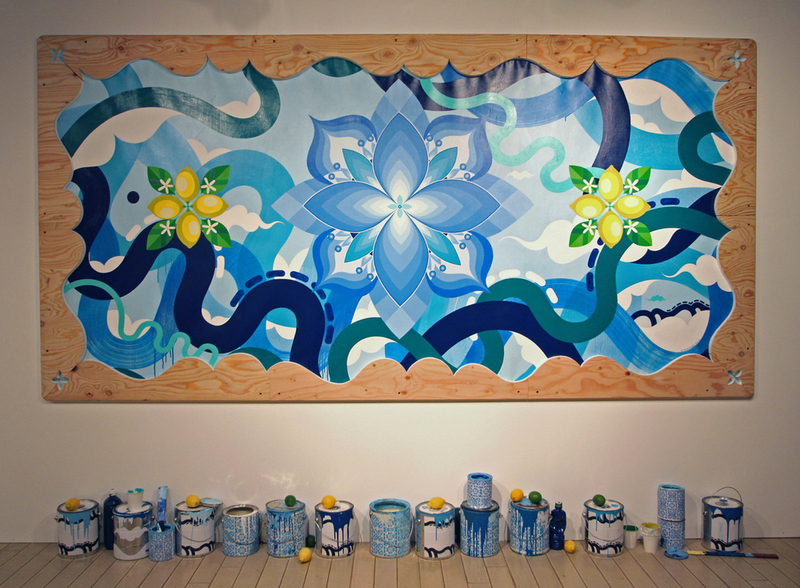 As a duo, their work is recognized by Kamis strong line work and Sasus distinctive patterns.